ABERDEEN PROVING GROUND, Md. (Nov. 13, 2013) -- Results from a recent study that looked at how battlefield-born vibrations, like those from blasts and heavy armored vehicles, for example, are leading research scientists to rethink military vehicle testing and evaluation methods that could also, eventually, improve automotive and aviation industry standards. A group of Army and University of Maryland researchers and engineers have developed reliability tests to better capture unforeseen failures in ground and air vehicle designs before the military adopts systems and components. Ed Habtour, principal investigator on the project at the U.S. Army Research Laboratory, said the physics of failure, known as PoF, based reliability models and test methods developed by ARL, U.S. Army Materiel Systems Activity Analysis, or AMSAA, Aberdeen Test Center, the University of Maryland's Center for Advanced Life Cycle Engineering, or CALCE, TEAM Corporation and Data Physics Corporation were run on the TEAM Tensor 900 six degrees of freedom, referred to as 6-DoF, shaker, one of only two of its kind in the world. The project receives support from the industry-government consortium which sponsors this research at CALCE. The consortium consists of leading electronics manufacturers and users from both military and commercial arenas, said Dr. Abhijit Dasgupta, professor at the University of Maryland's CALCE. 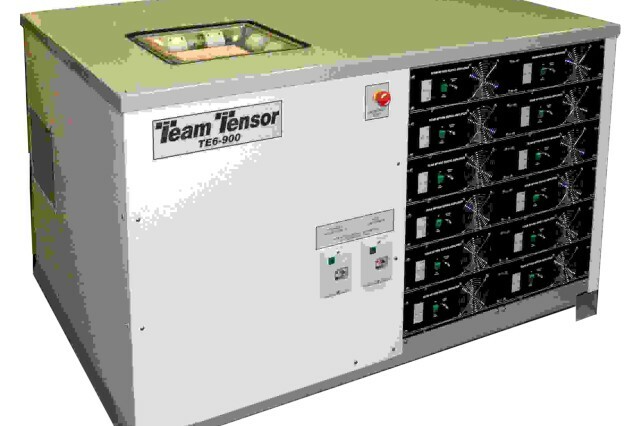 Instead of the current practice of vibrating a product sequentially for every axis, the Tensor 900 is capable of vibrating a product in three translational and three rotational motions simultaneously. Results provide a way for researchers to better understand how components fail under the military's -- and industry's -- most rigorous conditions where vibration is extreme, and with this information, ground and air vehicles can be built better to guard against known vulnerabilities. The sequential and simultaneous vibration comparison studies have shown that the traditional sequential axial testing is inadequate, expensive, time consuming and provides misleading non-conservative reliability predictions. "When we saw the results, it was so surprising to us that we wanted to make sure we could repeat them," said Habtour. He said the tests results could "really change the way industry conducts vibration testing" for cars, trucks and aircraft. The current military standard calls for systems, equipment, other machinery and devices to withstand tough climate conditions. Military Standard 810G is the current specification that the DOD has in place for equipment to survive and thrive, and this same standard has been adopted by the automotive, aerospace and electronics industry. Changes to the military standard are going to impact these industries positively by truly improving reliability while reducing testing time and cost, Habtour said. ARL is working closely with the U.S. Army Test and Evaluation Command, Aberdeen Test Center and Redstone Testing Center to update testing standards such as MIL-STD-810G, based on the outcomes of this research. "In military applications, the reliability of components and devices play a vital role in mission success because some of these devices provide crucial tasks such as control, guidance, communication, and reconnaissance," Habtour said. For years, he said, the military has had to rely on commercially-available components that are not designed for military applications. But this has led to concerns about their reliability in harsh battlefield environments. Nonetheless, these components can be easily ruggedized with the aid of the multi-axial shaker that can simulate a "real-world" vibratory environment. "One of the key challenges in re-creating life-cycle vibration conditions in the lab is the re-creation of simultaneous multi-axial excitation that components experience in the field, as seen in various complex dynamic loads, including shock and vibration," said Habtour. Experimental results and accompanying PoF analysis have shown that a clearer knowledge of the failure mechanisms in components is achievable. 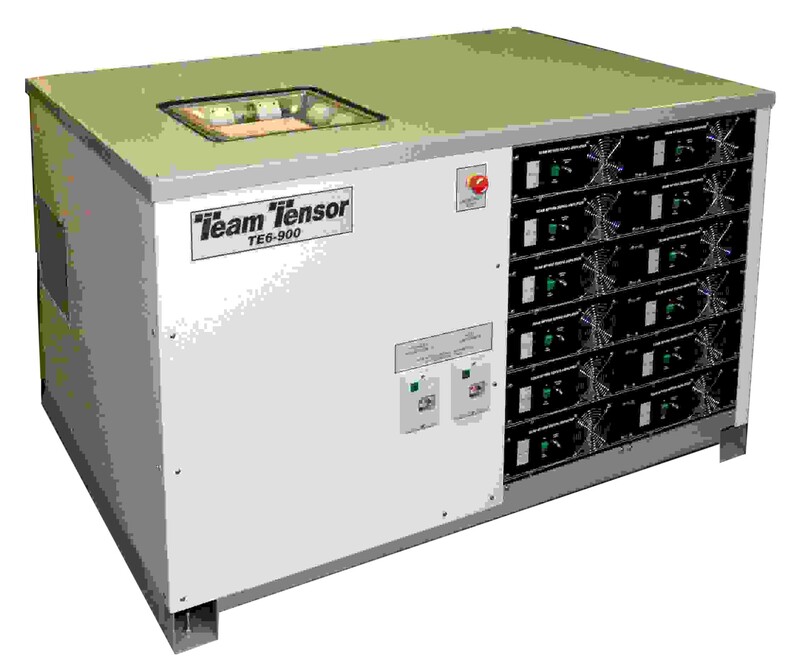 This is because the 6-DoF shaker provides both qualitative and quantitative understanding of the failures not present in single-axis vibration. It also shows that combined multi-axial simultaneous vibration tests reveal more damage actually occurring in the product than is shown by the superposition testing approach which tests the product individually along each axis and then linearly and adds the cumulative damage for all axis of interest. The 6-DoF vibration experiments expose the inadequacy of the linear superposition technique and show strong nonlinear effects such as rotary inertia, nonlinear damping, nonlinear geometric stiffness, gyroscopic forces, and multi-modal participation. At the component level, these nonlinear cross-axis interactions generate higher stresses under simultaneous 6-DoF vibration than what is expected from the linear superposition technique of sequential single-axis vibration. The nonlinearities make the accompanying PoF analysis more complex, and current research is focused on establishing suitable analysis methodologies to go hand-in-hand with the 6 DoF experimental capabilities, said Dasgupta. Products currently being tested include electronic circuit cards and structural components. Test methodologies and theories can be extended to sub-system and system level testing. Future tests will examine different systems with AMSAA. ARL is working closely with AMSAA and other Army organizations to integrate adequate muti-axial vibration models and profiles in PoF simulations. "In the years to come, we will be looking at combining translational and rotational vibrations which can be extended to Micro Electro Mechanical Systems technologies and rotor-blades," Habtour said. Researchers expect the impact of their work to improve accuracy of Micro Electro Mechanical Systems and micro-devices, and provide a greater understanding of failure mechanisms in blades due to complex loading profiles. The two-year effort covers components in most ground and air vehicles, from 20 to 3,000 hertz, such as AH-64 helicopter, UH-60 helicopter, C-130 airplane, Mine-Resistant Ambush Protected All-Terrain Vehicle, Joint Light Tactical Vehicle, military robotics and commercial automobiles and aircraft. The work does not cover the vibration spectrum of projectiles or missiles in flight.